Just mention the word Stax to any soul/blues lover and watch their eyes widen to saucer size, salivating over the label’s immense contribution to that genre. Booker T. and the M.G.’s as house band to a roster of classic stars such as Sam & Dave, Albert King, Johnnie Taylor, the Staple Singers, Isaac Hayes and Otis Redding created timeless music that feels as fresh today as when it was recorded four decades ago. But reference Stax to any deep country fan and their faces might glaze over with a blank stare. It comes as no surprise that what little country music the label recorded didn’t create even a ripple on the charts or notch any success in C&W history. This 16-track compilation shows why. 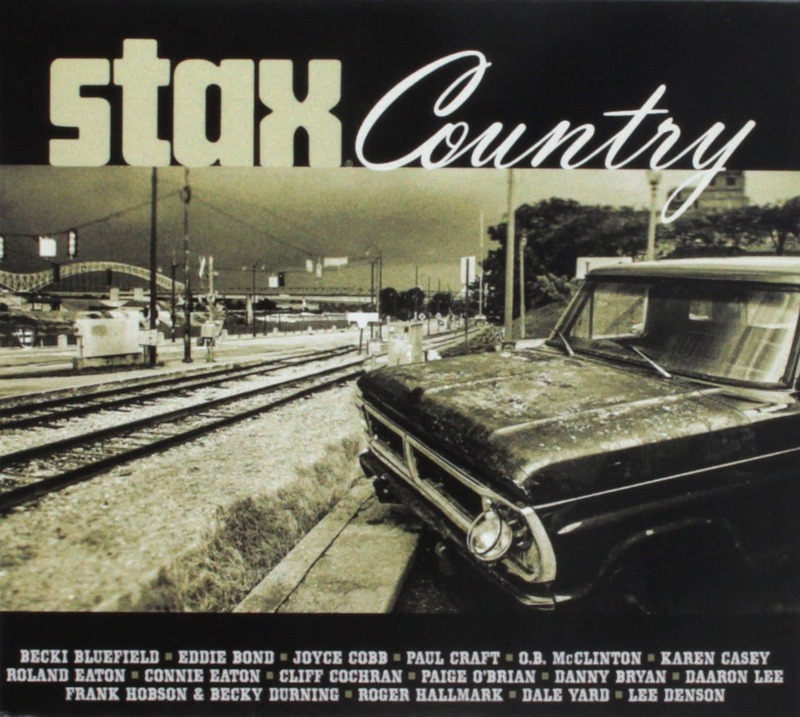 Despite Stax’s Memphis home being only three hours outside of Nashville, it might as well have been on a different planet in terms of musical contributions to country, especially in the mid-70s. Sure, Sun was once the home of rockabilly and crossover twang-rocking, but by the time the ’70s rolled around, major labels owned mainstream country radio and they weren’t based out of Memphis. Regardless, Stax made persistent stabs at recording a genre hit, but as these selections show, it was weak and ineffective. Country music itself was pretty lame at the time too, something the original “outlaws” Willie Nelson, Waylon Jennings and others rebelled against. Taken in that context, most of the artists Stax signed, almost all of whom are obscure to any but the deepest country fans, aren’t horrible. They are just pale cookie-cutter imitations of the slick, often sappy countrypolitan that ruled the Southern airwaves during that era. A few of these break that mold; Billy Lee Riley under the pseudonym of Daaron Lee covers Lee Hazelwood’s “Long Black Train,” sounding like a weaker Flying Burrito Brothers but maintaining a modicum of edge, with guitarist Dale Yard slinging out a quirky instrumental that wouldn’t have been out of place leading into a commercial on Hee Haw and Danny Bryant’s sweet cover of the Motown hit “My Girl” is sugary and wholesome. Best to leave the rest to grow moldy as innocuous at best one-offs that make even Patsy Cline’s honeyed pop sound like Lucinda Williams in comparison. Granted an additional half star for historical importance, but this is for Stax completists only.